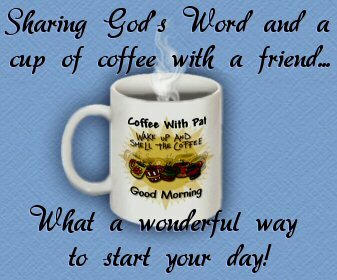 Coffee With Pat Ministries – Sharing God's Word and A Cup of Coffee With a Friend. What a Way to Start your Day. Coffee With Pat website will help you in your daily walk with God. Please check out new Media-Books link to order the new books that Pastor Pat has written. Adult devotional and Children’s Book Series. The new Book “Don’t Be A Bully” will be out in April. Copyright of Christian Faith Publishing Company. Pastor Pat is a well known speaker and Ordained Minister, with the International Pentecostal Holiness Church, and a member of the North Carolina Conference of the International Pentecostal Holiness Church. She has her Doctorate of Education in Theology and Biblical Counseling. She is a motivational speaker as well, and has been gifted by God to go preach His Word in all denominations and non-denominations churches. She preaches the salvation of Jesus Christ to the World. Pastor Pat is available for Pre-Counseling and Weddings. We would like to welcome you as you join with us in sharing God’s Word. You can use the menu link to view other inspirational pages on this site. Maybe you need to accept Christ as your personal Savior, or need to learn more about marriage, spiritual warfare, faith, listen to Christian Music, or have a safe site with Bible Stories, games and information just for the kid’s. Whatever it may be, just follow the links on the left side of this page and be blessed. We pray this site will help you in your daily walk with God. If you need encouragement, love, prayer, or maybe you are just searching for something to turn your life around do not stop reading now, because this site will offer you the way to find what you are searching for, and will show you what God has in store for you. Faith and belief comprise a very important part of our lives. A person’s faith and beliefs in many ways define who they are — how they see themselves, what they want out of life, and more. On this web site Pastor Pat offers a personal account of her own testimony and beliefs. She will describe how her beliefs have changed her life in profound and exciting ways, and she will pray and believe that they will change your life also. We also will be sure to provide links to our favorite sites as well as information about organizations that help strengthen or support our beliefs. Thanks for visiting, and be sure to get in touch and let know what you think! We will also send a Coffee With Pat cup to anyone who donates $25.00. All donations go entirely to buy Bibles to send around the world. We send Free Prayer Cloths and a Free Bible to those who don’t have one (upon request).